Hey there, dorks! Host Sonia Mansfield and her podcasting sister from another mister Margo D. from Book vs. Movie, The Best Neighbors Podcast, Not Fade Away and Fit Bottom Girls review “A Star Is Born,” starring Bradley Cooper and Lady Gaga. This is the fourth remake of this story, so Sonia and Margo are off the deep end, listen as they dive in … they’re far from the shallow now. They talk about all the “A Star Is Born” films, including the 1937 version with Janet Gaynor and Fredric March, the 1954 film starring Judy Garland and sad James Mason, and – of course – the 1976 movie with Barbra Streisand and Kris Kristofferson. Hey there, dorks. It’s time for another installment of “Sonia and Margo Destroy Your Childhood.” Host Sonia Mansfield and Margo D. from Book vs. Movie, The Best Neighbors Podcast, Not Fade Away and Fit Bottom Girls talk about “Grease” and “Grease 2.” Tell me more. Tell me more! Hey there, dorks. We’re postponing our regularly scheduled episode of “Sonia and Margo Destroy Your Childhood” to bring you a very special episode. The world is a dumpster fire right now, so host Sonia Mansfield and Margo D. from Book vs. Movie, The Best Neighbors Podcast, Not Fade Away and Fit Bottom Girls share their favorite comfort movies. Hey there, dorks. With the recent arrest of the Golden State Killer and the new Netflix documentary series “Evil Genius,” true crime stories have been on my mind. And when I thought, “I want to talk about true crime” I immediately thought of Margo D., because she is a serious true crimer. Not only is Margo super into true crime stories, but she also hosts every podcast in the world, including Book vs. Movie, The Best Neighbors Podcast, Not Fade Away and Fit Bottom Girls. In this podcast, Margo and I share our five favorite true crime movies. We didn’t want to be criminally negligent, so Margo also picks five true crime TV movies, and I choose five true crime documentaries. Hey there, dorks. While Smith is away, the cohost will play. It’s all beer and baseball this week! Sonia’s better half David Tracy, co-host of Sonia’s other podcast, Old Movies, New Beer, steps into the batter’s box to talk about baseball movies, specifically 1989’s “Major League” and “Field Of Dreams.” Strangely, David had managed not to see either of these classics until last week, so this will be fun. Hey there, dorks. BFF of the show Peter Brown, associate editor of Assignment X, joins us to talk about 1984’s “Sixteen Candles.” Written and directed by John Hughes and starring Molly Ringwald and Anthony Michael Hall, this movie was a teen movie staple back in the day. We talk about it with our nostalgia glasses on and off. It’s an interesting discussion about what was acceptable then and now. Hey there, dorks. 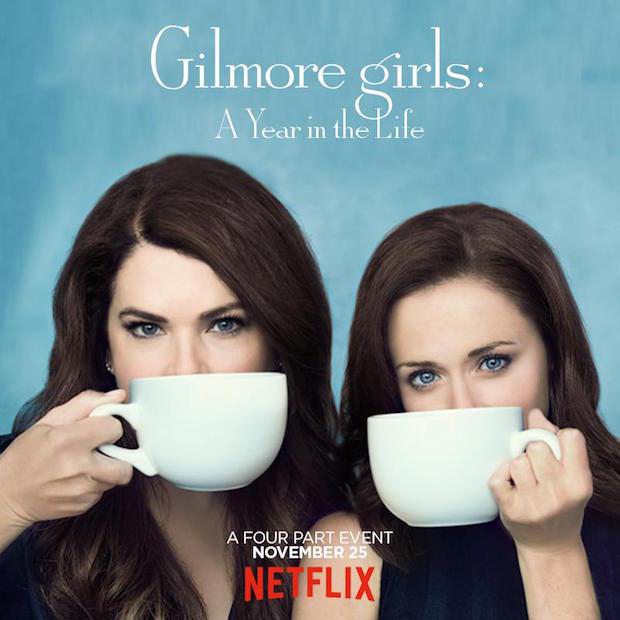 In this week’s episode we review the return of “Gilmore Girls” on Netflix. Sonia was a big fan of the show, and Chris has never watched the show. It’s an interesting conversation to say the least. And finally, we try to get into a festive mood and share our favorite holiday movies.